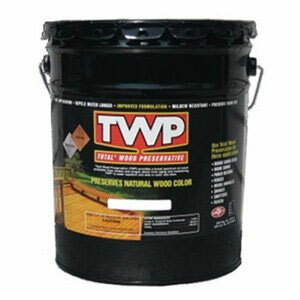 TWP® 100 SERIES is an EPA registered wood preservative which contains a unique combination of chemicals which preserve and enhance the natural warmth, beauty and integrity of new and old wood. TWP® 100 SERIES penetrates deeply into wood without excessive surface film build, highlighting existing grain patterns with amazing clarity and warmth..
TWP® 100 SERIES is an EPA registered wood preservative which contains a unique combination of chemicals which preserve and enhance the natural warmth, beauty and integrity of new and old wood. TWP® 100 SERIES penetrates deeply into wood without excessive surface film build, highlighting existing grain patterns with amazing clarity and warmth and is specifically designed to provide protection against the four major causes of wood degradation; wood rot, water, sunlight and mildew. TWP® 100 SERIES will not crack, peel or blister making maintenance an easy task to perform for extended wood protection. 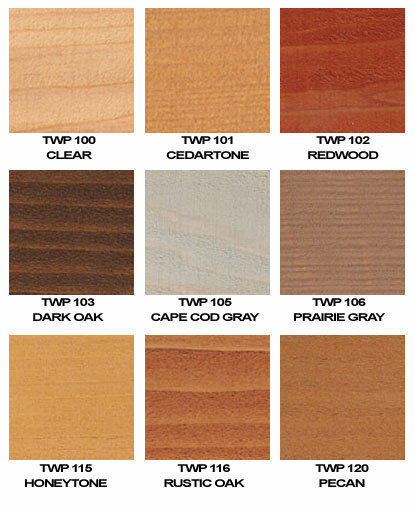 TWP® 100 SERIES is designed for use on new and old wood siding, fencing, decking and log homes. Refer to the Product Data Sheet (PDS) for preparation, cleaning and application instructions. This product is for exterior above ground use only. TWP should be applied at 100-400 sq.ft/gal. with brush, roll or spray. Rate will vary depending on wood porosity. Remove excess or puddled material that has not penetrated after 15 minutes with a paint pad or dry roller. Recoat over porous wood may be done as a wet on wet application.